"achieving the interests of the peoples of the region's countries necessitates that the governments of these countries stop obeying the dictates of some western countries, at the top of which is the United States, and adopt balanced policies based on respecting other countries' sovereignty and non-interference in their internal affairs, particularly after experience has proved that subordination and implementing others' dictates bring worse results than the adherence of countries to their sovereign decision." H.E. 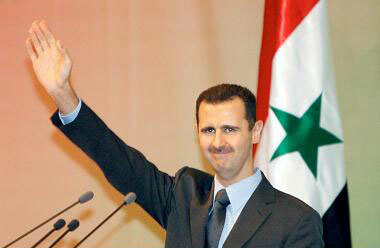 President Bashar Al-Assad, Tehran 25, February, 2019. "American hostility to all independent states has no geographic limits; the defeats of western schemes and the steadfastness of independent states, like Syria and the Democratic Popular Republic of Korea and several other countries, can make a change and restore balance to the international arena"
H.E. President Bashar Al-Assad upon receiving the visiting Foreign Minister of the Democratic Popular Republic of Korea (DPRK), Mr. Ri Yong-ho, December 4, 2018. "…the US role is mainly characterized with threats , sanctions and support for terrorism… the US changing of such a role as to make peace instead of causing wars, destabilizing the stability of countries would be more beneficial for the US and for its people." From President Assad's assertion upon receiving the visiting US Senator, Richard Black, September 5, 2018. There is a " need to strengthen the counterterrorism axis as to confront the US subversive policies which threaten global stability. The policies of the United States and its tools in the region, particularly in dealing with the Iranian nuclear file, imposing sanctions on Russia and attempts to prolong the war in Syria through supporting terrorist organizations and escalating threats against Syria each time the Syrian Army and its allies and back up forces conduct a military operation against terrorism, have proved that the counterterrorism axis policies are right and affirmed the importance of strengthening this axis in the confrontation of the US subversive policies which pose threat to global stability,"
From H.E. President Assad's assertions upon meeting the visiting Iranian Minister of Defense, , Mr. Amir Hatami, August 26, 2018. "If you want to talk about Syria being torn about, this is about, let’s say, the geography, not about the society; the society is unified, so we don’t have a problem regarding this. So, we can look at Syria as unified as long as the people are unified. Being torn apart, this is occupation; different parts of Syria being occupied by the terrorists with the support of the West, mainly the United States and their allies. So, if you want to talk about the future of Syria, we don’t take them into account. Talk about the political process, this is going to be an only-Syrian political process. We don’t take into account the interests of any other country regarding something which is internal. If you talk about the war, it’s becoming now an international war, because that’s how it started. Actually, it wasn’t only about the government in Syria; the government in Syria is independent, we have good relations with Russia, with China, and other countries, and the United States wanted to re-draw the map of the world politically, and maybe militarily, so Syria was one of the main battlefields to re-draw this map, at least in the Middle East. That’s why when you talk about those interests, this is a fight between these powers: the main power: the United States and their allies supporting the terrorists, and the goal is to have hegemony, and the other power is Russia with its allies, their aim is to fight the terrorism and to restore the international law." " We believe that discussing or talking or negotiating with your adversary, and any other one of course, is productive, but in this case, since we have the first negotiation with the Unites States in 1974, we never achieved anything in any subject. The problem with the American presidents is that they are hostages to their lobbies, to the mainstream media, to the huge corporations, financial, oil, armaments, etc. So, they can tell you whatever you want to hear, but they will do the opposite, and this is the case, and it’s getting worse and worse, and Trump is a very stark example. So, talking and discussing with the Americans now for no reason, without achieving anything, is just a waste of time. We’re not happy to talk with the Americans just because they are Americans. We are ready to discuss with anyone who could be productive, and we don’t believe that the American politics will be different in the foreseeable future. So, it’s just, again, a waste of time now." "The Americans say they are ready, but everyone knows that the Americans are historically professional liars in politics. So why should we believe them? Also, we have to wait and see." "After the liberation of Aleppo and later Deir Ezzor, and before that Homs, and now Damascus, actually the United States is losing its cards. The main card was al-Nusra that was called “moderate.” But when the scandal started leaking, that they are not moderate, they are Al Qaida that was supposed to be fought by the United States, they looked for another card. This card is the SDF now, because when as it seems, as you just mentioned, we are moving forward in the different areas to defeat the terrorists, the only problem left in Syria is the SDF. We’re going to deal with it by two options: the first one, we started now opening doors for negotiations, because the majority of them are Syrians, and supposedly they like their country, they don’t like to be puppets to any foreigners, that’s what we suppose, so we have the same basis. We all don’t trust the Americans for decades, not because of the war, because they always say a thing and do the opposite, they tell daily lies. So, we have one option is to live with each other as Syrians, like forever. This is the first option. If not, we’re going to resort to liberating by force, to liberating those areas by force. We don’t have any other options, with the Americans or without the Americans. We don’t have any other option. So, this is our land, it’s our right, and it’s our duty to liberate it, and the Americans should leave, somehow they’re going to leave. They came to Iraq with no legal basis, and look what happened to them. They have to learn the lesson. Iraq is no exception, and Syria is no exception. People will not accept foreigners in this region anymore." "This is not my language, so, I cannot use similar language. This is his language. It represents him, and I think there is a very known principle, that what you say is what you are. So, he wanted to represent what he is, and that’s normal. Anyway, it didn’t move anything, and this kind of language shouldn’t move anything for anyone. The only thing that moves you is what people that you trust, people who are level-headed, people who are thoughtful, people who are moral, ethical, that’s what should move anything inside you, whether positive or negative. Somebody like Trump will move nothing for me." "The first question you should ask, whether to meet or to make contact or whatever, what can you achieve? The other question: what can we achieve with someone who says something before the campaign, and does the opposite after the campaign, who says something today, and does the opposite tomorrow, or maybe in the same day. So, it’s about consistency. Do they have the same frequency every day, or the same algorithm? So, I don’t think in the meantime we can achieve anything with such an administration. A further reason is that we don’t think the president of that regime is in control. We all believe that the deep state, the real state, is in control, or is in control of every president, and this is nothing new. It has always been in the United States, at least during the last 40 years, at least since Nixon, maybe before, but it’s becoming starker and starker, and the starkest case is Trump." "The problem in the United States is about the whole political system, it’s not about one person. Trump’s election has proven again, for us, again and again, that the president is only a performer, he’s not a decision-maker. He’s part of different lobbies and the deep state or the deep regime as we can call it, who implement and dictate on the president what should he be doing, and the proof to what I’m saying is that Trump after he became president, he swallowed most of the promises and the words that he was boasting during his campaign. He made a 180 turn in nearly every promise. So, why? Because the deep state wouldn’t allow him to go in a certain direction. That’s why for me dealing with him as a person, it could be, but can that person deliver? No. In the United States, the president cannot deliver, the whole state, the deep state only is the one who can deliver, and this is the problem. This deep state doesn’t accept partners around the world; they only accept puppets, and they only accept followers, they only accept proxies, that’s what they accept, and we’re not any of these." "If you want to talk about our war, regardless of the influence of the external wars, ISIS is not very strong, it would take a few months, even with al-Nusra. Now, the problem is that ISIS has been supported by the United States. The United States attacked our army that’s been fighting ISIS three times during the last six months or so, and every time they attacked our forces in that area, ISIS attacked our forces at the same time and took over that area. So, the realistic answer is: that depends on how much international support ISIS will get. That’s my answer." 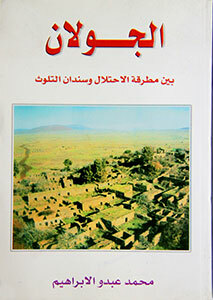 "in the past several years and in more than one region throughout Syria. We have asked the Organization for the Prohibition of Chemical Weapons (OPCW) to send specialized missions to investigate what happened. And every time, the United States obstructed these investigations or prevented sending such missions in order to carry out such investigations. This is what happened last week when we called for investigations over the alleged use of chemical weapons in the town of Khan Sheikhoun. The United States and its allies prevented OPCW from taking that decision. 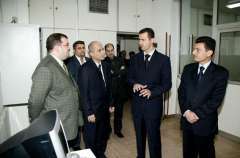 As far as we are concerned, we still insist on an investigation, and we and our Russian and Iranian allies are trying to persuade OPCW to send a team to investigate what happened, because if it doesn’t, the United States might repeat the same charade by fabricating the use of false chemical weapons in another place in Syria in order to justify military intervention in support of the terrorists. On the other hand, we continue to fight the terrorists, because we know that the objective of all these American and Western allegations concerning chemical weapons is to support terrorists in Syria. That’s why we will continue to fight these terrorists." "This is what characterizes American politicians: they lie on a daily basis, and say something and do something different. That’s why we shouldn’t believe what the Pentagon, or any other American institution says, because they say things which serve their policies, not things which reflect reality and the facts on the ground." "… the United States always seeks to control all the states of the world without exception. It does not accept allies, regardless of whether they are developed states as those in the Western bloc, or other states of the world. Every state should be an American satellite. That is why what is happening to Syria, to Korea, to Iran, to Russia, and maybe to Venezuela now, aims at re-imposing American hegemony on the world, because they believe that this hegemony is under threat now, which consequently threatens the interests of American economic and political elites." "The recent American aggression on al-Shayrat airbase comes as a response to the terrorists' defeats in Hama countryside and to the advances achieved by the Syrian army in the north and east of the country." From President Assad's statements to the Central Committee meeting of the Baath Arab Socialist Party, April 22, 2017. "The western countries, namely the United States, interfere to help the terrorists every time the Syrian army achieves gains in the battle against terrorist groups." "We always try to look at the full half of the cup, but we couldn’t find it. We tried to see anything positive, we said that what this president, Trump, what he said, we said “promising,” I described it as promising, a few months ago. But actually, it’s not about what they promise, because we all know that the American officials say something and do something different, they’re never committed to their promises or their words. So, that’s what have been proven recently after the attack on Shairat; they say something and they do something different. So, in politics you don’t say “I wouldn’t do this.” Whenever there is a window of hope that this state or this regime can change its attitude toward respecting your sovereignty, toward more preventing of any blood-letting in your country, you have to cooperate. It’s not a personal relation, it’s not hate and love; it’s the interest of your own people. So, I cannot say this escalation has changed anything, because this escalation is the real expression of the reality of the American regime that’s been there for decades, it’s not new for the United States to do such a thing, but you need to deal with the United States as a great country, at least to make it refrain from any harmful effects, generally, I’m not talking only about Syria. When they change their behavior, we are ready, we don’t have a problem." "Not really, we don’t have any channel now between Syria and the United States regime or administration, we don’t have." "The United States failed in achieving its objectives behind its aggression as to raise the morale of its backed terrorist group following the victories achieved by the Syrian Army." From President Assad's phone call with His Iranian Counterpart, Hassan Rouhani, April 9, 2017. "the US attack -the USA carried a flagrant aggression at dawn today against a Syrian military Airbase in the central region of Syria causing the martyrdom of 6 persons , scores of injured and inflicted heavy material damage- is but an irresponsible reckless shorted-sighted disillusioned military and political blind act." "The US aggression is but a fool act misled behind an elusive campaign of lies which led to such a reckless political and military aggression." "The consequence of different US Administrations does not change the policies of the consequent US hegemony bids over the world, subjugation of people,"
"If the US regime thinks that it has been able through this aggression to support its lackeys of the gangs and terrorist organizations on the ground, the Syrian Arab Republic reiterates that this flagrant aggression has but increased Syria's determination to strike at those lackey terrorists and to pursue purging every span of Syrian territories from them,"
"Any intervention, even the existence of any individual soldier, without the permission of the Syrian government, is an invasion in every sense of the word. And any intervention, from the air or otherwise, is also an illegitimate intervention and an aggression on Syria." "In general terms, the American policy is based on creating chaos in different parts of the world and creating conflicts among states. This is not new. It has been going on for decades, but in different forms." 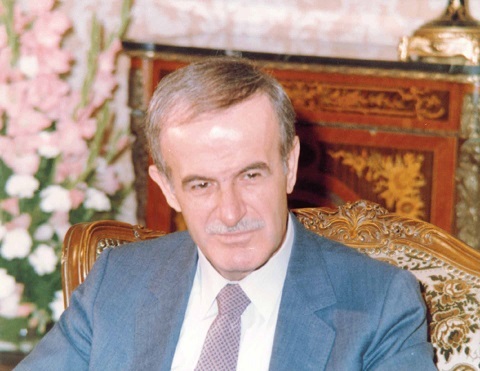 "As to our evaluation of the new American administration, and despite the fact that it is still in its early days, we have learned something important since relations were resumed between Syria and the United States in 1974, when former American President Richard Nixon visited us. We learned not to bet on a good administration. We always say which is a bad administration and which is worse. We do not say which is good and which is better or which is bad and which is good. What we see in America now are endless conflicts: conflicts inside the administration and conflicts outside the administration with the administration. That’s why we see only one thing in this administration, regardless of the statements which seem to be better than those of other administrations. Since they sent troops to Syria without coordination and without a request from the legitimate Syrian government, it means that this administration, like other administrations, does not want stability to be restored in Syria." "The American policy is based on many standards, not double; they have maybe ten standards because they don’t base their policy on values or on international law; they base it on their own vision, their own interests, sometimes on the balance of different lobbies and powers within the American institutions. We all know that. So, we don’t talk about double standards, this is very normal for the US. For example, their raids against ISIS in Mosul in Iraq were something good, or let’s say, positive, while the same raid by the Syrian and Russian army airplanes or troops on the ground in Aleppo to liberate the people of Aleppo is against human rights according to their political discourse. So, this is natural for the American policy and for the West in general, not only the Americans. White Helmets are Al Qaeda, they’re Al Qaeda members and that’s proven on the net; the same members are killing or executing or celebrating over dead bodies, at the same time they are humanitarian heroes, and now they have an Oscar as you know. So, that’s to be expected by the Americans, we have to ignore all their narratives, their own public doesn’t believe their narrative anymore. They don’t know the truth yet; the public opinion in the West in general, they know there’s a lie, but they don’t know what the truth is, and that’s why they have a problem with RT for example, for that reason." "So, the question is: how can they cooperate, and I think the Russians have hope that the two parties join the Russians and the Syrians in their fight against terrorism. So, we have more hopes now regarding the American party because of the new administration, while in Turkey nothing has changed in that regard." "We didn’t. Any foreign troops coming to Syria without our invitation or consultation or permission, they are invaders, whether they are American, Turkish, or any other one. And we don’t think this is going to help. What are they going to do? To fight ISIS? The Americans lost nearly every war. They lost in Iraq, they had to withdraw at the end. Even in Somalia, let alone Vietnam in the past and Afghanistan, your neighboring country. They didn’t succeed anywhere they sent troops, they only create a mess; they are very good in creating problems and destroying, but they are very bad in finding solutions." "The position of President Trump since he started his campaign for presidency till this moment is that the priority is to fight terrorism, and we agree about this priority, that’s our position in Syria, the priority is to fight terrorism, and that’s what I meant by promising." " Against terrorists, and against terrorism. That’s self-evident for us. This is beside having cooperation between any two nations, but in the meantime, in these circumstances, the priority is to have cooperation in fighting terrorism between the different nations, including Russia, Iran and Syria, of course." "Could the American prowess defeat the terrorists in Afghanistan or in other places? No, you cannot… it’s not enough to have this Apache or F-16 or F-35, whatever you want to label it, to defeat terrorists. There has to be a more comprehensive way of dealing with that complicated issue. So, if you want to start genuinely, as United States, to do so, it must be through the Syrian government. We are here, we are the Syrians, we own this country as Syrians, nobody else, nobody would understand it like us. So, you cannot defeat the terrorism without cooperation with the people and the government of any country." "We invited the Russians, and the Russians were genuine regarding this issue. If the Americans are genuine, of course they are welcome, like any other country that wants to defeat and to fight with the terrorists. Of course, with no hesitation we can say that." "Let me be frank with you, when you talk about contribution in the operation against ISIS, actually there was no operation against ISIS; it was a cosmetic operation, if you want to talk about the American alliance against ISIS. It was only an illusive alliance, because ISIS was expanding during that operation. At the same time, that operation is an illegal operation because it happened without consulting with or taking the permission of the Syrian government, which is the legitimate government, and it’s a breaching of our sovereignty. Third, they didn’t prevent any Syrian citizen from being killed by ISIS, so what to be grateful for? To be frank, no." From President Assad's Interview with Belgian Media, February 7, 2017. "No, because there was bad intention regarding the different countries like Saudi Arabia, Qatar, Turkey, France, UK, and the US in order to destabilize Syria, so it wasn’t about the Syrians. That doesn’t mean that we don’t have many flaws before the war and today as a country that allow many of those countries to mess with our country. I’m not excluding, I’m not saying it’s only about them, but they were the one who took the initiative in order to wage this war, so I don’t think it was avoidable." "So, it’s very clear today that they are going to put obstacles and to impede any direction of the policy of the new President regarding either fighting terrorism or respecting the sovereignty of other countries, or even having detente around the world through the good relation with Russia, or with any other great power, like China, for example." "We don’t have a lot of expectations because the American administration is not only about the President; it’s about different powers within this administration, the different lobbies that they are going to influence any President. So, we have to wait and see when he embarks his new mission, let’s say, or position within this administration as President in two months’ time. But we always say we have wishful thinking that the Unites States would be unbiased, respect the international law, doesn’t interfere in other countries around the world, and of course to stop supporting terrorists in Syria." "Of course, I would say this is promising, but can he deliver? Can he go in that regard? What about the countervailing forces within the administration, the mainstream media that were against him? How can he deal with it? That’s why for us it’s still dubious whether he can do or live up to his promises or not. That’s why we are very cautious in judging him, especially as he wasn’t in a political position before. So, we cannot tell anything about what he’s going to do, but if, let’s say if he is going to fight the terrorists, of course we are going to be ally, natural ally in that regard with the Russian, with the Iranian, with many other countries who wanted to defeat the terrorists." " So, you will cooperate with the Americans in the fight against terrorists? Of course, definitely, if they are genuine, if they have the will, and if they have the ability, of course we are the first ones to fight the terrorists because we suffered more than any other one in this world from terrorists." "This is against the international law again, and that’s the problem with the American position; they think that they are the police of the world. They think they are the judge of the world; they’re not. They are sovereign country, they are an independent country, but this is their limit; they don’t have to interfere in any other country. Because of this interference for the last fifty years, that’s why they are very good only in creating problems, not in solving problems. That’s the problem with the American role. That’s why I said we don’t pin a lot of hopes of changing administrations because that context has been going on for more than fifty years now, and that’s expected. If they want to continue in the same position of the United States creating problems around the world, that’s what they have to do: only interfering in the matters of other nations." "In principle, we have spoken about the necessity of forming an alliance against terrorism since 1985. And we continuously announce that Syria is ready to cooperate with any party seeking seriously to fight terrorism. This is a general principle which applies to the United States and all countries. But realistically, can the United States move in that direction? Talking about the issue which you mentioned, it shows that the Pentagon plays a role contrary to that of the White House, and the White House follows a policy different from that of the State Department." "The fact is that the American state has appeared during the past year in a state similar to that of the armed factions in Syria, when they fight for spoils. This is not new, but has appeared more clearly. That’s why you see statements in the morning which differ from their policies in the evening, and their policies in the evening differ from what they do in implementation of that policy the next day, and so on. There are contradictory statements among the different lobbies and administrations. You feel that there is no specific policy, but different conflicts. This is the truth. Can the new President control these things? This question is difficult to answer. Can he face the media, which is part of the lying and deceptive propaganda? Was electing Trump a reaction on the part of the American people against the existing political institution? There are many complicated questions. If Trump was able to implement what he announced during his election campaign, that he will fight terrorism, and that his priority is ISIS, and was able to bring all American forces, movements, and institutions in that direction, what he said will be realistic. But we have to wait and see what will happen in the United States." "When you talk about cooperation, it means cooperation between two legal governments, not cooperation between foreign government and any faction within Syria. Any cooperation that doesn’t go through the Syrian government is not legal. If it’s not legal, we cannot cooperate with, and we don’t recognize and we don’t accept." "It was premeditated attack by the American forces, because ISIS was shrinking because of the Syrian and Russian and Iranian cooperation against ISIS, and because al-Nusra which is Al Qaeda-affiliated group had been defeated in many areas in Syria, so the Americans wanted to undermine the position of the Syrian Army; they attacked our army in Deir Ezzor. It wasn’t by coincidence because the raid continued more than one hour, and they came many times." " More than one hour. There were many raids by the Americans and their allies against the Syrian position. At the same time, they attacked a very big area; they didn’t attack a building to say “we made a mistake.” They attacked three big hills, not other groups neighboring these hills, and only ISIS existed in Deir Ezzor. There is no… what they called it “moderate opposition.” So, it was a premeditated attack in order to allow ISIS to take that position, and ISIS attacked those hills, and took those hills right away in less than one hour after the attack." 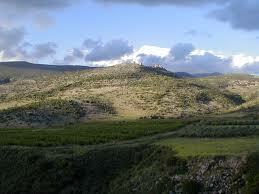 " Less than one hour, in less than one hour, ISIS attacked those hills. It means that ISIS gathered their forces to attack those hills. How did ISIS know that the Americans would attack that Syrian position? It means they were ready, they were prepared. This is an explicit and stark proof that the Americans are supporting ISIS and using it as a card to change the balance according to their political agenda." "The US administration's policy in the Middle East contradicts the interests and values of the American people as it tends to be increasingly violent and illogical. The role of the United States, as a super power, should be positive and based on disseminating knowledge, culture and technology instead of chaos and destruction in other countries of the world." From H.E. President Assad's statements to a visiting US Peace Council delegation , July 28, 2016. ''We resumed our relation with the United States in 1974. Now, it has been 42 years since then and we witnessed many American presidents in different situations and the lesson that we have learned is that no one should bet on any American president, that is the most important thing. So, it is not about the name. They have institutions, they have their own agenda and every president should come to implement that agenda in his own way, but at the end he has to implement that agenda. ''The question is not how many strikes. What is the achievement? That’s the question. The reality is telling, the reality is telling that since the beginning of the American airstrikes, terrorism has been expanding and prevailing, not vice versa. It only shrank when the Russians intervened. So, this is reality. "the USA did not commit itself to the agreed upon regarding the conditions pertaining to cessation of hostilities, turning blind eyes to Erdogan's support to terrorism, not to mention the Saudi public support for terrorism." "We have never placed our bets on any American president. We always bet on policies; and these policies are not controlled only by the president, but by the establishment in general, and by the lobbies operating in the United States. If you look at the competition between many candidates, now or in the past, you will find that it revolves around who is more inclined to start wars, and this doesn’t bode well." "The problem with American politicians is that they say something and do the exact opposite, before and after the elections." " The US always looks for the hegemony over the world because Syria is independent and they do not accept a country that says no to them. But in reality, it is the government with the support of the majority of the Syrian people against those mercenaries supported by those countries." " That's not the main point-- after-- I mean-- regarding that statement. I think-- I think the main point we could have feeling, and we hope that we are right, that American administration started to abandon this policy of isolation. Which is very harmful to them, and to us. Because if you isolate country, isolate yourself, as the United States, from being influential, and effective, and the course of events, unless you are talking about the negative influence, like make embargo, that could kill the people slowly. Or launching war and supporting terrorists that could kill them in a faster way. So, our impression is that we are optimistic, more optimistic, I wouldn't exaggerate. That at least when they're thinking about dialogue, doesn't matter what kind of dialogue, and what the content of the dialogue. And even doesn't matter for the real intentions. But the word dialogue is something we haven't heard from the United States on the global level for a long time." " We are always open. We never close our doors. They should be ready for the talk, they should be ready for the negotiation. We didn't make an embargo on the United States. We didn't attack the American population. We didn't support terrorists who did anything in United States. Actually, the United States did. We were always-- we always wanted to have good relation with the United States. We never thought in the other direction. It's a great power. Nobody-- no-- not a wise person think of having bad relation with United States." From H.E. President Al-Assad's Russian Media Interview, March 27, 2015. "Whatever they say, doesn’t mean for us to be puppets. Whatever they say, for us it’s about being independent, to work for our interest, to work for the common interest of others, but we’ll never be puppets who work against our interests for their interests. So you have to ask them what they meant by that statement." From H.E. President Al-Assad'[s BBC News interview, February 10th, 2015.
" No, because they don’t talk to anyone unless he’s a puppet, and they easily trampled over the international law, which is about our sovereignty now. So, they don’t talk to us, we don’t talk to them." "They always say things, but it’s about what they’re going to do. And you know there’s mistrust between the Syrians and the U.S. So just wait till we see what will happen at the conference." "One that preserves stability in the Middle East. Syria is the heart of the Middle East. Everybody knows that. If the Middle East is sick, the whole world will be unstable. In 1991, when we started the peace process, we had a lot of hope. Now, after over 20 years, things are not at square one; they’re much below that square. So the policy should be to help peace in the region, to fight terrorism, to promote secularism, to support this area economically, to help upgrade the mind and society like you did in your country. That is the supposed mission of the United States, not to launch wars. Launching war doesn’t make you a great power." "When we talk about a common ground, what is the nature of this common ground? How serious is the United States in fighting ISIS? So far, what it is doing is cosmetic, while the Russians are very determined to fight terrorism. In the same context, how serious is the United States in influencing Turkey, Qatar, and Saudi Arabia – and these countries are not allies of the United States, but puppets in its hands – to what extent the United States will influence them to stop the flow of money, weapons, and terrorists into Syria. Unless these questions are answered, it is impossible to reach this common ground." From H.E. President Bashar Al-Assad interview with the Czech Literarni Noviny, January 15, 2015. "So far, the United States is playing games and playing for time. What the United States ultimately wants is to use Russia against Syria. It wants Russia to exercise pressure on Syria. This is the common ground the Americans are looking for, and not the common ground necessary to fight terrorism, allow the Syrian people to determine their future, and respect the sovereignty of all countries including Syria. So far, we do not see this common ground. The Russians are trying their best to find it, but I don’t believe that the Americans will respond to this effort positively." "It needs a lot of money, it needs about one billion, and it’s very detrimental to the environment. If the American administration is ready to pay this money and to take responsibility of bringing toxic materials to the United States, why don’t they do it? But of course it is going to be in cooperation a specified organization in the United Nations." From H.E. 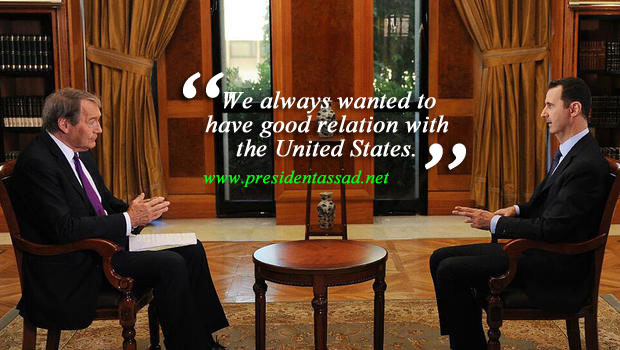 President Al-Assad's Interview with Fox News, September 19, 2013. "There’s a misunderstanding that we agreed upon this agreement because of the American threat. Actually, if you go back before the G20, before the proposal of this Russian initiative, the American threat wasn’t about handing over the chemical arsenal; it was about attacking Syria in order not to use the arsenal again. So, it’s not about the threat. Syria never obeyed any threat. Actually, we responded to the Russian initiative and to our needs and to our conviction. So, whether they have Chapter Seven or don’t have Chapter Seven, this is politics between the great countries." "We supported the Geneva process from the very beginning. 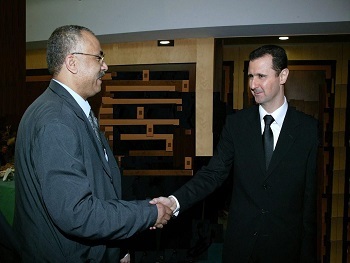 We cooperated with the UN envoys that came to Syria. Actually, the one who put obstacles wasn't Syria neither Russia nor China; it was the United States, for many different reasons. One of the main reasons is that they don't have real opposition abroad. They know this is one of their main problems, because the core of the Geneva conference is to be based on the will of the Syrian people, so whatever we agree upon in Geneva will be proposed to the Syrian people, and if you don't have grassroots, you cannot convince the Syrian people to move with you. This is the American problem with their puppets, to be very clear and very frank." "There's mutual respect between Syria and Russia, and they never tried to involve themselves in those Syrian details. Only the American administration, their allies in Europe, and some of their puppets in the Arab world repeat these words, whether the President should leave, what the Syrian people should do, what kind of government; only this bloc interferes in the matters of a sovereign country." "As I said, the relation depends on the credibility of the administration. We never looked at the United States as enemy; we never looked at the American people as enemy. We always like to have good relations with every country in the world and first of all the United States because it is the greatest country in the world. That is normal and self-evident. But that does not mean to say and to go in the direction that the United States wants us to go in. We have our interest, we have civilization and we have our will. They have to accept and respect that. We do not have a problem with mutual respect. We want to have good relations, of course." "The new thing since Obama came to office is that there is no more dictation from the U.S. and they are ready to listen. This is very important as a basis for any relation with any country, especially in a country like Syria which does not accept any dictates from the outside. But the other question here is that it has been now two years since President Obama came to power, so what happened in reality? Actually nothing has changed in reality, even with regard to the bilateral relations, because what we have been doing for the last two years is just signals from Syria towards the U.S. and from the U.S. towards Syria. But how can we translate those signals into reality. So far we cannot, for a simple reason. It is not because of President Obama, I think he is genuine as a person, and he believes in whatever he says. But in the end you have internal politics in the US; you have the Congress, you have many other institutions, whether before or after the elections, it was not a big difference for our situation. Those institutions do not see sometimes the interests of the US, at least in our region, in a very realistic way. That is why if you look at the situation in Iraq, in Afghanistan and in Pakistan, there is no success in the U.S. policy. Part of the desperation we have in the region is related to the policy of the US, and people are becoming against the US. That is what you asked about at the very beginning. So what is happening is good but it is not building anything concrete on the ground yet." "I would not say an end because at the end I do not obey the United States, but I would like to have good relations with the United States, I would like to make dialogue and dialogue means interacting; it does not mean to say no, no, no. I do not want to be influenced by you. We have to be influenced by each other. So, let us be moderate and realistic. No, I do not think everybody must cut his relation with anyone with this great power, but I think it is about two things whether positive or negative. The positive one: is it going to be a new era towards more chaos or towards more institutionalization? That is the question. So, that is why I said at the very beginning it is still foggy; we cannot understand the reasons unit we see the end and the end is not clear yet. " 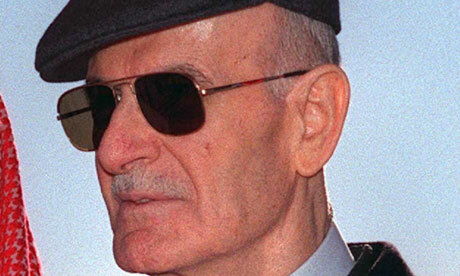 ''The obstacle which hinders the return of semi-natural relations between America and Syria is our rejection to say yes to any side, including America except if we are convinced and if this yes expresses our interests…This is the problem, therefore I think that this thing will create a problem in different issues…We have a clear stance towards the Palestinian, Lebanese ,Iraqi issues and the resistance…Our stances are clear and doesn’t comfort them…If we don't say all of them, at least a huge part of the US institutions…This is the problem which is old and not new,"
“I would like to draw a distinction between President Obama, who has authority, and the United States as a State. The President has good intentions. The climate between us has definitely improved: the veto was lifted to our access to the World Trade Agreement. Sanctions were partially softened, though they were reconfirmed. Yet there are institutions such as Congress, lobbies that weigh in our relationship sometimes in a positive way, other times in a negative way. And, in the end, it is results that matter”. Bush gave Obama this big ball of fire, and it is burning, domestically and internationally. Obama, he does not know how to catch it. The approach has changed; no more dictations but more listening and more recognition of America’s problems around the world, especially in Afghanistan and Iraq. But at the same time there are no concrete results…. What we have is only the first step…. Maybe I am optimistic about Obama, but that does not mean that I am optimistic about other institutions that play negative or paralyzing role[s] to Obama. If you talk about four years, you have one year to learn and the last year to work for the next elections. So, you only have two years. The problem, with these complicated problems around the world, where the United States should play a role to find a solution, is that two years is a very short time…. Is it enough for somebody like Obama? "But I think the United States has a special role as the greatest power. I think President Obama should visit as many countries as he can in order to make these dialogues. And of course that includes Syria." "A big change comes when you make actions. An invitation is about dialogue, dialogue is about having common ground, a common vision. Then you have to make a plan then, later, you take action." "Yes, in principle. It would be a very positive sign- meeting with President Obama-. But I'm not looking for a photo opportunity. I want to see him, to talk." “The United States under Obama could play an important role bringing peace to the region. Only Washington can press Israel." "The previous administration only talked with countries in the region, including Syria, about their interests, regardless of our interests." "You start the dialogue and then through the dialogue you see if you have to change or the other one has to change. ... We can continue the dialogue in order to maybe someday have common ground,"
"We have the impression that this administration will be different, and we have seen the signals. But we have to wait for the reality and the results." "Bush failed in everything," "They [the Bush administ­ration] worked hard to achieve regime change. But it didn't work. It didn't work because I am not an American puppet and have good relations with my people." "An ambassador is important,", "Sending these delegations is important. This number of congressmen coming to Syria is a good gesture. It shows that this administration wants to see dialogue with Syria. What we have heard from them – Obama, Clinton and others – is positive. "; "We are still in the period of gestures and signals. There is nothing real yet." "We would like to have dialogue with the US administration. We would like to see him [Petraeus] here in Syria,"
"We had several meetings with the Americans, including one between the Syrian foreign minister and his US counterpart. We also received congressional delegations carrying messages from the US Administration. They come to us to its knowledge, but they seem to be wont to retain their positions that they are against Syria even though they have security meetings with the Iranians." "Eventually, the negotiations will be carried out under US, international and Arab umbrellas, but the US has no part in the ongoing negotiations at this time,", but the current US administration "has problems not only with Syria, but with its friends as well, which is why nothing much is expected from this administration." "First of all, they have to stop looking for scapegoats and whipping boys, this administration. And there's a logical answer: We cannot stoke the fire and then extinguish it. If you stoke it, it will burn you. So if we have this chaos in Iraq, it will spill over to Syria and to other countries, so saying this, like saying that the Syrian government is working against the Syrian interest, this is impossible." " This administration, in general, are not interested in peace at all. This administration is not willing to achieve peace. They don't have the will, and they don't have the vision. This is, in brief, what I know about this administration not about the president in particular. " Q: And is there anyone operating on the world stage today that you admire? Any leader, any diplomat? "Maybe Bush, the father, because of his will to achieve the peace in the region. Of course, President Clinton, he has the same will, and he is admired in our region and respected. " "They have to understand me by understanding my culture as a person. If they want to understand me as a president, they have to understand whom I represent; and this is related to the culture of my people. So, this the problem with the west: If I want to make an analogy to two computers with different systems – if we talk about windows – we notice that they do the same job but they have different systems. So, you have sometimes some software to make the translation between the two systems. We do not have to talk about the events; we have to explain and analyze these events and translate them from our culture to another culture. That is what we want from the media in your country and from the politicians. That is how they can understand, and then they will understand that we need peace, we need prosperity and we need reform." "When you don't understand the culture, you don't understand the politics, especially in our region. If you don't understand the culture and the politics, you don't understand what decision we take as leaders and why, and what we say and why. That is why we always have misunderstandings when we conduct a dialogue with many delegations coming from the West, especially the United States. They ask us questions that show how they misunderstand our vision and our beliefs and goals." "First of all, as American officials you have to talk with me about your interests, and as a Syrian official I have to talk with you about my interests. If you ask them about Iraq they would say, "we want stability, we want to support the political process, and we won’t stay in Iraq," and in Syria we want stability, support the political process and don’t want to see any foreign troops there. So, we share the same titles with the Americans, and that is why we can find common interests. Exactly, but we should take into consideration our interests. The problem with this administration is that they talk of their interests only and don’t talk of the interests of other countries. This problem is not only with Syria but also with many countries. But if you talk about the end results, they haven’t achieved their own interests. Four years after the 9/11 events what has the world achieved? Did it achieve any better? I cannot see that. They have to deal with the facts instead of wasting time discussing wishful thinking and titles and slogans." "When Collin Powell came in 2003 and talked to us about controlling the borders, we said that we could not, and this has been a chronic problem. In principle, no country can control its borders. Big trucks used to enter Syria undetected, so how do you want Syria to control the passage of individuals? At any rate, if you are so concerned about this problem, we accept any technology that could help us in this area. Of course they have not provided anything. Many American delegations came and talked to us about the same issue. They used to start by saying the United States cannot control its borders with Mexico, and end up by saying that Syria has to control its borders with Iraq. This means that a super-power cannot control its borders and we can. Iraqi delegations came and talked with the same logic; and there were unfounded accusations. We told our Iraqi brothers that we were prepared to cooperate in that regard. We told all these parties that regardless of the American demand, and regardless of any pressure, we have an interest in controlling our borders, because the chaos in Iraq had a direct impact on the security situation in Syria. So, we have an interest, but cooperation requires two parties. Shall we cooperate with ourselves on both sides of the border? We are on one side of the border, and there has to be cooperation on the other side, whether on the part of the Americans or the Iraqis. We stress again today that we are open without limits to cooperation with our Iraqi brothers, whether for controlling the borders directly or what lies beyond the borders, through security cooperation and other measures. The strange thing is that the American accusations after the invasion and until the middle of 2004 were about what they called them Jihadis or Salafis or fundamentalists or Islamic terrorists. Suddenly these became Baathists and followers of Sadam Husein. This shows the state of confusion and the psychological pressure on the occupation forces. " "I wouldn't say this is true- US accusations regarding the Syria-Iraq borders-. It's completely wrong. You have an aspect of the problem. The first aspect is no country can control his borders completely. And example is the border between the United States and Mexico. And many American officials told me: "We cannot control our border with Mexico." But at the end, they end up saying: "You should control your border with Iraq." This is impossible, and I told Mr. Powell that for the first time we met after the war. I told him: "It's impossible to control the border." And we asked for some technical support, but we did many steps to control our border, as I said, not completely, but we did many steps. And we'd like to invite any delegation from the world or from the United States to come and see our borders to see the steps that we took, and to look at the other side to see nothing. There is nobody on the other side, American or Iraqi." "As regard US sanctions on Syria and Syria-US current and future relations, the President said that such sanctions are a new form of international relations which yields hegemony and interference in a country’s internal affairs. Such a principle is rejected and most states announced their rejection of the sanctions. But the world is influenced and no state lives isolation. So, sanctions can have impacts and it is not yet known whether these impacts are great or otherwise. The Americans are trying to convert the impacts from moral ones into economic and financial ones. We are still maintaining dialogue with the Americans. ‏ On the other hand, the Syrian-US relations are always changing. They were severed in the 1960s and were restored in 1974 when President Nixon visited Syria. Throughout the past 30 years, relations were not stable. Sometimes we reach agreement and at other times we differ due to changes in the American Administration. However, the only thing that remains is dialogue and we hope that by so doing relations can be positive and we hope they become more stable. ‏ We want relations to be stable, but till now they are unstable." "Until now , dialogue is still the basis. This does not mean the relation is good . It changes continuously and every day. And it differs between one trend and another inside the US. Administration . There are trends that we have the desire to make dialogue with. These trends believe that dialogue with us is important for a number of reasons that are related to the issues of the region in general , and to Syria's role in particular . We cannot specify things now precisely , particularly that the US. administration has gone into election stage and everything in the US is now governed by elections. Many persons told us they were not convinced when they had voted for Syria's Accountability Act. But , they added , they did this out of their electoral interests which motivated them to vote for it. This is known about the United States. Some of them are members of the Congress .But dialogue is still going on." Q - How do you see the new U.S. Administration? "There haven’t been any contact with it yet; we have no information,"
Q - What do you expect from President Bush? "We expect what we want… neutrality in peace process, efficiency in implementing UN Security Council resolutions and pushing the Israelis to give back all Arab rights." "American relations for some reason fluctuate in different periods of time. Whenever the Syrian relations deteriorated with United States, invariably, it was the Israeli factor that caused that deterioration. What do I mean by the Israeli factor? It could be Israeli influence or effect in the United States through the lobby, or it could be the complete biased attitude of the Americans toward the Israeli government. In fact if you take the Israeli element out of the picture, I cannot see the difference between Syria and the U.S.; there are no differences between Syria and the United States about what we want to achieve in the region." "We have no problem with the United States, we are neither for or against the United States." "I think if the American Administration is able to formulate one opinion, then they can probably have cooperation with Europe but you need first to have one opinion. This is what I have said to William Burns, the Assistant Secretary of the United States when he visited me in Damascus two months ago. I said to him: you are a group of administrations, not just one administration. And I said to him: each one of your administrations has a different opinion . So, I think that Europe has to choose one of these administrations to deal with."